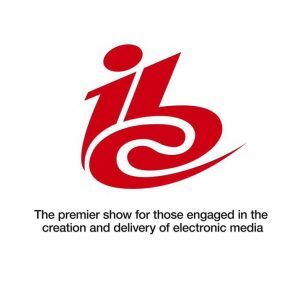 International Broadcasting Convention (IBC) in Amsterdam is regarded as an influential annual event for professionals engaged in the creation, management, and delivery of electronic media, worldwide. Coming from out of a technical broadcast beginning and now encompassing the full spectrum of media creation management and delivery, from online content to digital cinema, from automated workflows to high-resolution capture and display. A fundamental part of the IBC Conference is the Technical Papers that supplement a full agenda of panels, discussions, and keynotes that occur over most of the six-day event that opens September 13. 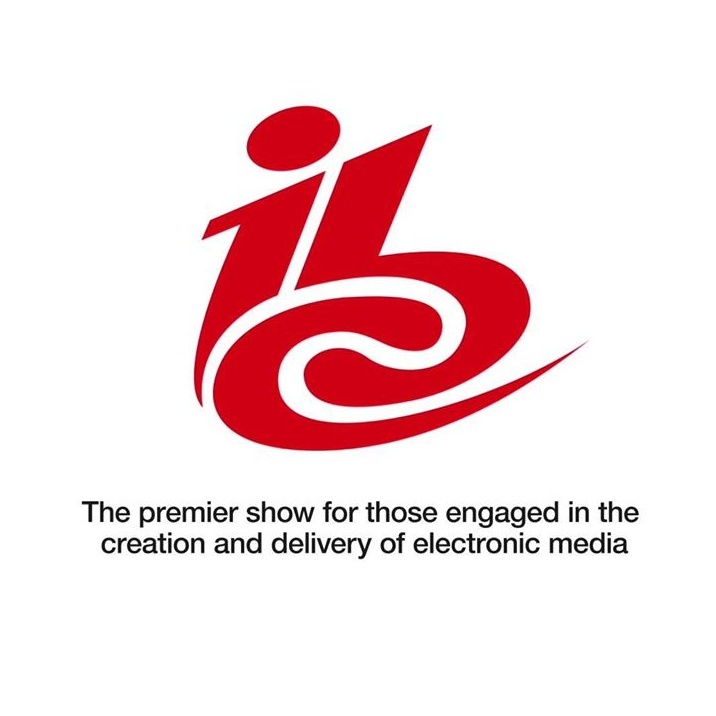 Conference Tracks at IBC2018 (#IBC2018) include by title, IBC2018 Keynotes, New Platforms: Innovators and Disruptors, Smart Connectivity and Multiplay Devices, Cutting-edge Tech Innovators, Global Gamechangers, Audiences: Engage. Influence. Grow, Advertising: The New Attention Economy, NextGen: Interactive and Immersive Experiences. Keith Underwood, Chief Operating Officer, Channel 4, delivers the first Keynote Address of the conference series. Then there will be Lounge Talks, a brand new addition to the Conference program for 2018 where presenters will examine such issues as, the relationships between AI and improvised theatre, how VR can preserve endangered human rituals, media in tourism, and the value of diversity. IBC has opened new pathways to visitor engagement with the introduction of the Rising Stars program focused on the new generation of content and media technology professionals coming up through the industry. The invitation-only Leaders’ Summit is an event for 150 leaders of the electronic media and entertainment industry shaping future strategy. IBC Content Everywhere is a new series of events that opens IBC’s mandate to new opportunities. An anticipated section of IBC Exhibition, the Global IBC Future Zone, this year will focus on showing how new technologies grow from their first inception and progress through to research, development, and validation projects. Companies leading the way in cutting-edge development include Japan’s NHK and BBC R&D from the UK. Both companies will demonstrate technology advances, including Web-VR applications; object-based media scenarios; pathways to 8K resolution for UHD; and Artificial Intelligence in broadcasting. French research institution B-com will show innovative uses for Augmented Reality and new audio/video production workflows. Research foundations ETRI from South Korea and Germany’s IRT, both contributing to international collaborative research projects, will demonstrate the object-based broadcasting of sports events, ‘smart stadium’ technologies, and an intercontinental ultra-wide vision (UWV) transmission between South Korea and the Netherlands. Born in Ouagadougou, and inspired by traditional Burkinabe music, Boubacar Kafando first devoted himself to percussions then he explored the art of singing and playing the Kora and the N’goni. Unlike most kora players, he comes from the Mossi ethnic group, a community proficient in the Moré language and known for oral traditions about family and community. He started his first band in 2001 when he started touring in France before finally relocating in 2003. 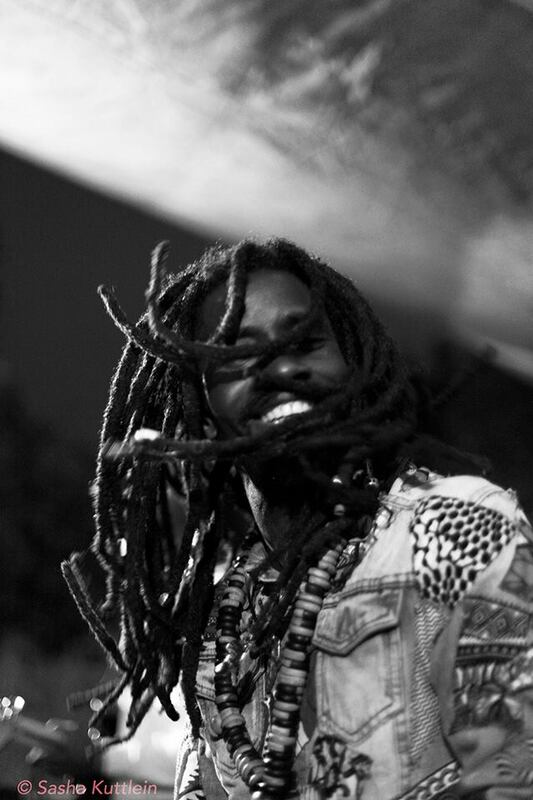 Since then, he has been influenced by a diversity of music: rock, blues, jazz, funk, afrobeat, etc. As a storyteller, Boubacar Kafando offers a world of multiple colors where humanity and life are at the heart of his music, and messages of peace, love and hope are the main feelings he seeks. Prior to reaching the September 15 Paris engagement with Le Bal Tropical de Paname, Boubacar Kafando and Zaama Nooma band have an engagement at Festival Alternatif de Vallcarca in Barcelona – Anzoategui, to perform with guitarist Marion Marion & Mandé Africa, a band made up of West African musicians performing with traditional instruments, the roots of blues and jazz, on September 9. Le Bal Tropical de Paname is a project that grew out of Paris by a young multicultural team that fulfills a mandate to introduce the public to the diversity of cultures of the world found in greater France. From 2011, live shows and DJs have been organized in alternative venues in and around Paris. The events focus on Africa, Latin America, the Caribbean and West Indies and the Maghreb with local and international musicians and DJs. It has an established track record in bringing new and undiscovered talent in world fusion to the stage. In past engagements they have hosted events that featured, Festival on Afrofuturism “Blacks to The Future” (July 2016); Felabration – Tribute to Fela Kuti (October 2016); Fiesta de Los Muertos Mexican Party (October 2016); Carnival of Barranquilla in Paris (February 2017); Women’s Ball (March 2017); Trans-Saharan Ball (April 2017); Tribute to Papa Wemba (May 2017); Kabar Kréol Reunion (May 2017); Fiesta LatinArab (June 2017); Los Mirlos Concert (July 2017); Afro-Latino Festival (July 2017); Aterciopelados Concert (July 2017); Trans-Saharan Ball (September 2017), to name a few of the more recent events. Film Independent in Los Angeles will open the annual LA Film Festival with a mandate to create and aid alliances and working relationships between independent artists and the film industry. It strives towards these goals through signature programs that include Coffee Talks, the Spirit of Independence Award, Fast Track – a film financing market, and We the People; a two-day summit committed to advancing inclusion within the entertainment industry by serving as a solution-oriented call to action. Artist Alia Penner has provided the official 2018 LA Film Festival (#LAFilmFestival) poster. LA Film Festival September 20 opening night film, ‘Echo In The Canyon,’ Andrew Slater, Director, is a look at how era bands, The Byrds, The Beach Boys, Buffalo Springfield, The Mama’s and the Papa’s, formed the beginnings of the Laurel Canyon music scene. A live performance with Jakob Dylan (film’s Executive Producer) and participants from the film will follow the screening. At this year’s LA Film Festival, Virtual Reality takes up a significant presence. 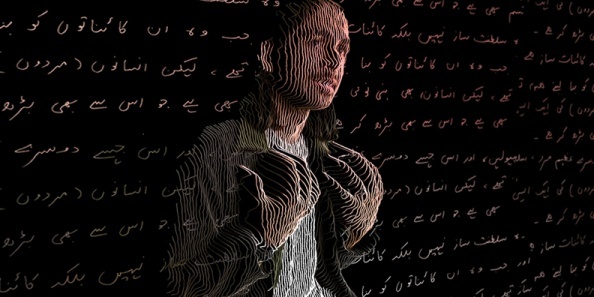 In partnership with LMU’s School of Film and Television, LA Film Festival’s inaugural showcase of immersive storytelling features in Augmented Reality (AR), Mixed Reality (MR) and Virtual Reality (VR). 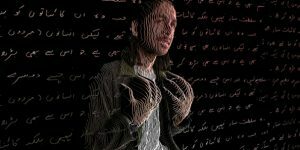 This program segment, at The Portal, will showcase new animated, documentary and fictional narratives from virtual reality exhibitions at film festivals around the world, including Cannes, Rotterdam, Sundance, SXSW, Tribeca, and Venice. This event is free and open to all, including LA Film Festival pass holders (no RSVP required), but there will be a pass holder check-in desk at the LMU Playa Vista Campus. Three free panels will be conducted at The Portal: Animation In VR, on September 22; Women’s Voices in VR, on September 22; Social Immersive Documentary VR will be held September 23. Additionally, The Portal has programmed in ticketed 90-minute experiences consisting of 14 immersive experiences available to view and interact with during a 90-minute reservation. Award categories in the competition segment of the festival include Film Independent Spirit Awards for feature films, Cinema Eye Honors for Non-Fiction Filmmaking of documentary features, Audience Awards given for Fiction Film, Documentary, Short Film and Web Series, and Jury Awards are given in competitive categories that include Shorts (fiction and documentary), US Fiction, Documentary, World Fiction, Nightfall, and LA Muse (fiction and documentary). Over the course of the year, members at Film Independent have access to skill enhancement resources in film education with classes and workshops on the latest indie trends, get first-looks at the upcoming indie releases, receive discounts on casting rooms, have monthly networking events, gain exclusive access to the LA Film Festival, and make up the voting constituency for the Film Independent Spirit Awards. VR/AR Global Summit in Vancouver will be a marketplace and conference, running September 21-22, for industry leaders in immersive technology content, knowledge, and creation. The VR/AR Global Summit (#VRARAGS) will bring together the most intriguing and innovative leaders in VR/AR/MR. Hardware developers, content creators, big brands, manufacturers and designers will gather to learn, share and discuss advancements in the industry. Collaboration spaces, hands-on workshops, real conversations, Keynotes, presentations, marketplace and events will bring everyone together to shape the future. Opening just before VR/AR Global Summit, Extraordinary Future Conference, organized by Cambridge House International, opens from September 19-20 offering a view of emerging technologies and investing opportunities in them. Overlapping VR/AR Global Summit, Vancouver Startup Week 2018, organized by Vancouver Startup Week, will run September 21-28, presenting tech showcases, panel discussions, office visits, networking breakfasts, and investor lunches, helping to unveil the cross-section of the region’s tech and entrepreneurial opportunities. There are some tailored features to this event that serve as a compelling reason for interested professionals to attend. Vancouver has one of the top Video Game clusters in the world — one that includes major publishers such as, Electronic Arts (EA), Microsoft, Capcom and Nintendo. 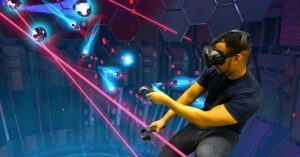 It is a Startup Ecosystem, particularly when you consider that Vancouver’s fast emerging VR AR sector benefits from a longstanding legacy in the film, video game and tech industries, and pioneering industries are evolving a new business playbook as Vancouver continues a metamorphosis into a hub for virtual, augmented and mixed reality. Vancouver is increasingly attractive for Asia-Pacific Business. Vancouver’s growing links to Asian commerce grew stronger in 2018 when China’s largest business arbitration institution announced plans to set up its North American location in the city. Known as a hub for media creation, Vancouver is home to thousands of world-leading Film, TV, VFX, Animation, and Video Game companies, including Sony Pictures Imageworks, Industrial Light & Magic (ILM), MPC, Double Negative, DHX Media, Animal Logic and Bardel Entertainment. The PMA’s Production Music Conference (#PMC2018) launches its fifth annual event, September 26-28, in Hollywood, where industry leaders in the production music industry come together for panels, learning, and networking. The September 26 opening evening will be dedicated to the Fourth Annual Mark Awards, an awards ceremony dedicated to honoring excellence in the production music community by presenting awards in 27 categories. It is named in honor of the late Andy Mark, a library owner and founding member of the PMA. Music professionals may submit their own considerations to the annual awards through the online link at: https://www.awardcore.com/pma Conference topic highlights will include, Women In the Production Music: Styles, Strategies and Survival; Music Library Audio Mastering Primer: the What, Why, When, Who, and How of it All…; Composer All-Stars: How to Score Big In Production Music; Neighboring Rights and Production Music; The State of Audio Recognition and Monitoring Technology: What Every Publisher and Composer Should Know; Production Music in Asia; AI Generated Music: How Will This Impact the Future of Production Music? Advertising Music: How to Compete, Survive and Thrive. The PMA is a member-supported, volunteer organization currently comprising approximately 660 member libraries, from major label publishers and national independents to energetic start-ups. The PMA is involved in everything from performing rights analysis to composer education, from lobbying on digital watermarking and fingerprinting to helping guarantee the value of production music across an ever-expanding universe of media. The PMA makes itself a valuable to its member body by: working with performing rights organizations, legislators, legal counsel and content creators in the aim of improving the reporting, monitoring, collection and distribution of performance fees and royalties for PMA members; providing its members with a forum in which common issues can be discussed and decisions made; educating its members and the marketplace about music rights and other issues affecting the production music community; enhancing the value of PMA members’ music through research, education and public relations. Feature Keynote Speakers at the PMA conference are Tyler Bates, soundtrack composer for Marvel’s ‘Guardians of the Galaxy’ and ‘John Wick,’ starring Keanu Reeves, and session Dominic Houston, head of the Music Team at Netflix. Other participating speakers include, Jae Kim, Mediacube; Brad Segal, FineTune Music LLC; Andrew Jones, Production Music (Asia Pacific) at BMG Production Music; Alicen Schneider, NBCUniversal Television; Jonny Thompson, Nichion, Inc (division of TBS television network); Tom Gire, Brand X Production Music; Belinda Robles, Megatrax Production Music; Christy Carew, The Alliance for Women Film Composers; Juliette Metz, AMPLI (Alliance de la Musique pour l’Image); Ludan Bone, Songba Culture Development Company, Beijing; Dan Korobkin, SourceAudio, and CueMx LLC; Ron Goldberg, Manhattan Production Music; Karen Falzone, Mostly Music; John Josephson, SESAC; Martin Nedved, Studio Fontána, Prague; Celestina Lucero, INNOCEAN, USA; Hunter Williams, SourceAudio; Devin Powers, independent musician at Universal. There will be others not mentioned in this space. A networking cocktail party set for September 28 closes the event. The above events are only a sample of what is fully listed. Complete details are on the “Calendar of Global Media and Showbiz Industry Social Networking Events” page. If you like this report and other content found on The Actor’s Checklist, like the Facebook page at this link. 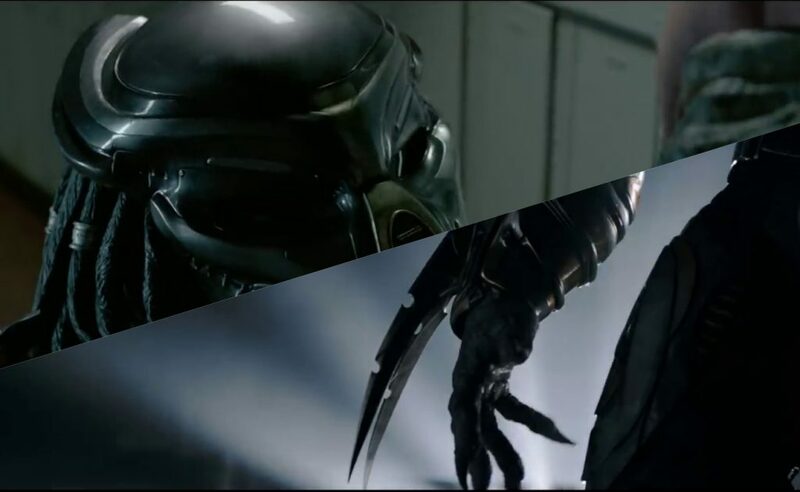 In this month’s photo placement (starting at the very top), The Predator, the latest entry in the ongoing series directed by Shane Black and starring Olivia Munn, Boyd Holbrook, Trevante Rhodes, Jacob Tremblay, opens mid-September in North America movie theaters. Next, IBC Media convention in Amsterdam, Boubacar Kafando and his Zaama-Nooma band, ‘Terminal 3’ VR entry at LA Film Fest, VR/AR Global Summit in Vancouver. Now into the fall season of the year, the events calendar is bustling and here are some calendar dates for you to know about. MIPCOM 2018 returns to Cannes, Broadcast Indonesia opens its third digital, multimedia and entertainment technology exhibition and conference, Medientage Munchen in Munich addresses the range of digital media, the 2018 NAB Show New York is in New York City for the second year, Marina del Rey and Playa Vista Film Festivals happen simultaneously on the west side of Los Angeles, Variety will present Music for Screens in Los Angeles, NYVR Conference and Expo is in New York City, XD Immersive 2018 addressing user experience design and business use cases is in San Francisco.